Our aim is to develop the gallery as a 'creative hub' for Buxton, a place where art is made as well as exhibited and sold, where people meet and share ideas and where creativity flourishes. If you are as keen as we are to establish a permanent creative community space in Buxton, please join our new friends group. 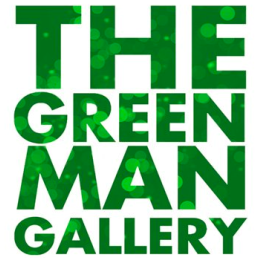 All we ask is a minimum donation of £25 per year (just over £2 a month) to help ensure the future of The Green Man Gallery. If you feel you can give more we will of course be delighted! Friends will be invited to four special events during the year at which they will be offered a 10% discount on any purchase. Friends will of course be offered priority booking for workshops and performances. Fill in your details and we'll be in touch!